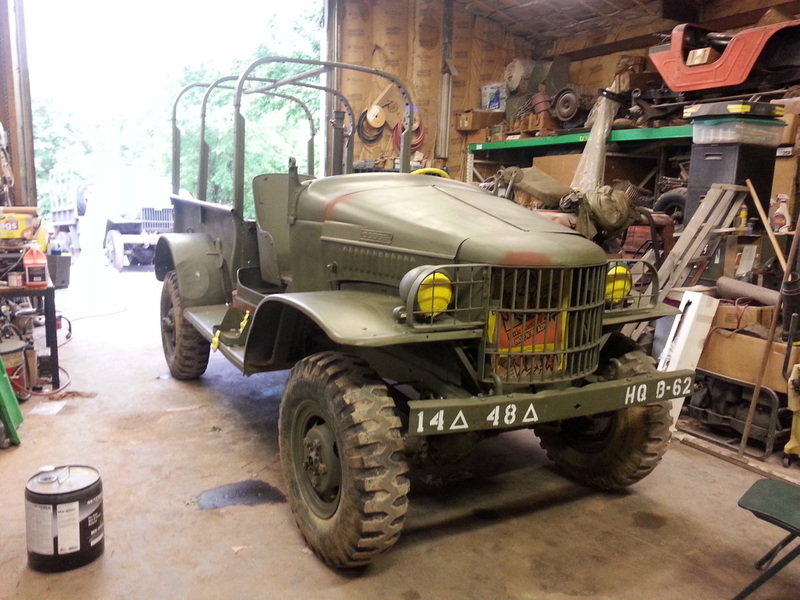 The WC21 is a 1/2 ton Dodge truck. 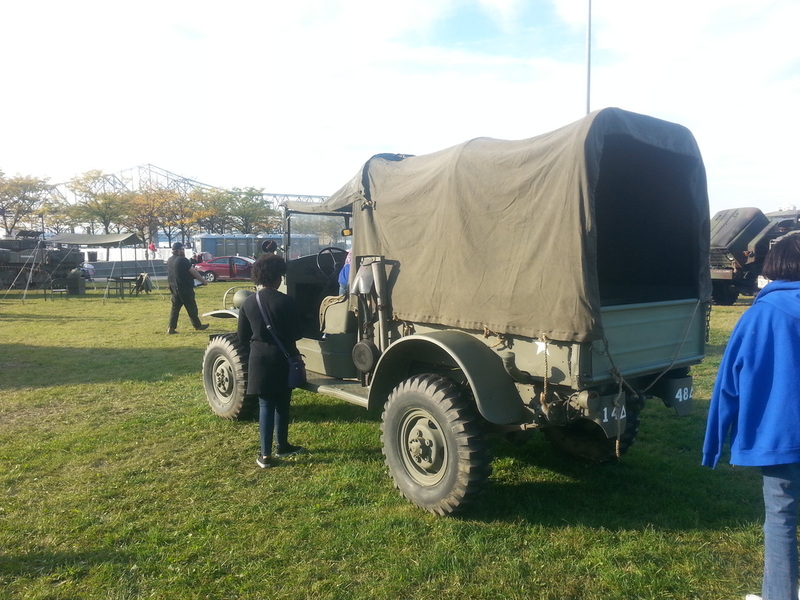 Built in 1941, the 1/2 ton had a distinctive look with it's big curved fenders and sloping hood. 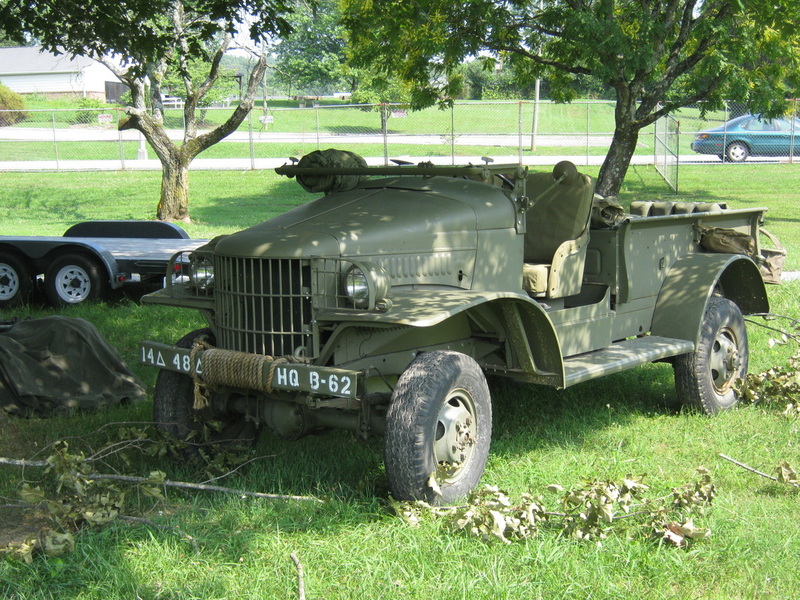 Dodge offered many versions to satisfy the demands of the army. This one is an open cab model with the larger 230ci engine. 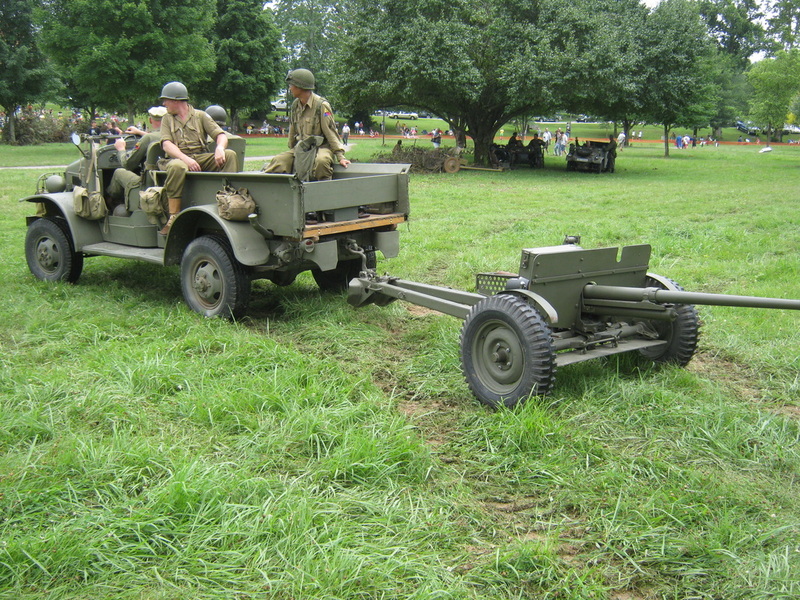 Here is the 1/2 ton carrying troops and a 37mm cannon into battle. 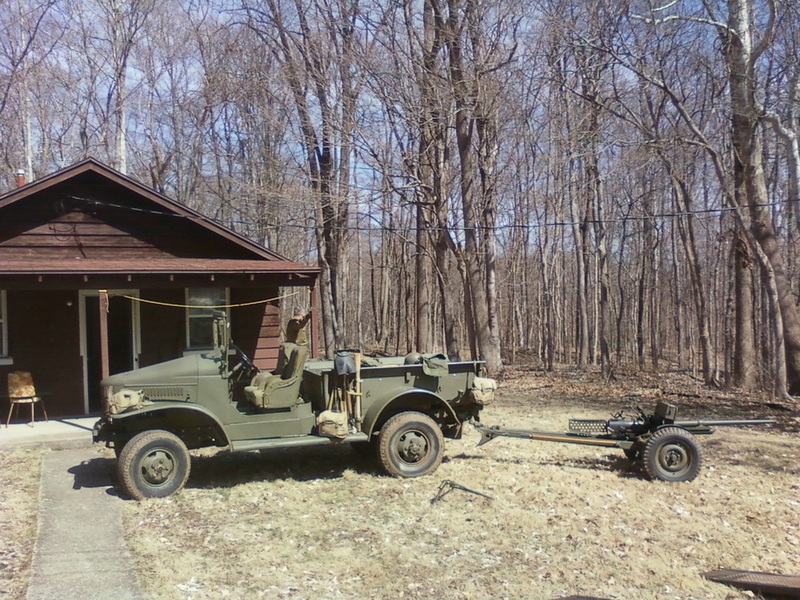 The Dodge is a work in progress, even after eight years of buying it. 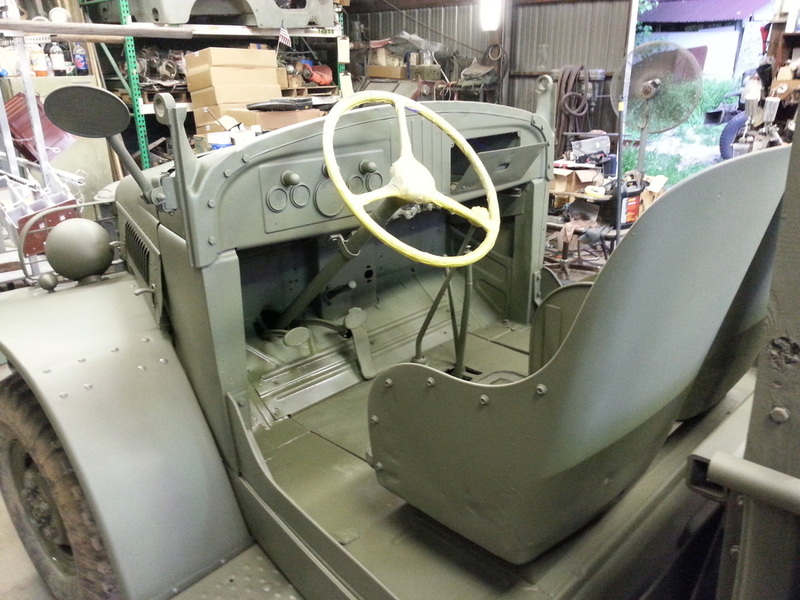 Remove the top bows and canvas, drop the windshield and you have a convertible! Here is a close up shot of the engine bay. 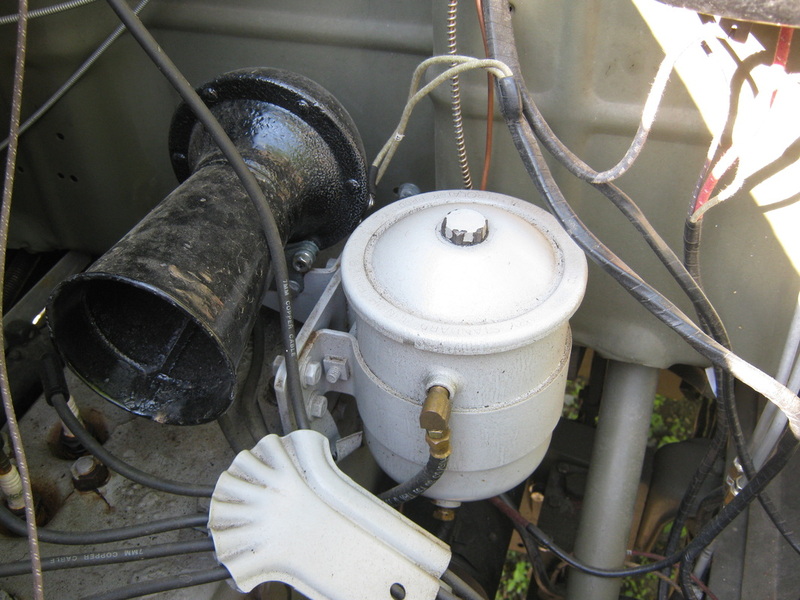 Note the 6V horn and old style oil filter. The "drop in" oil filter element can still be purchased 70 years later. Here is one of the seat bottoms from the WC21. 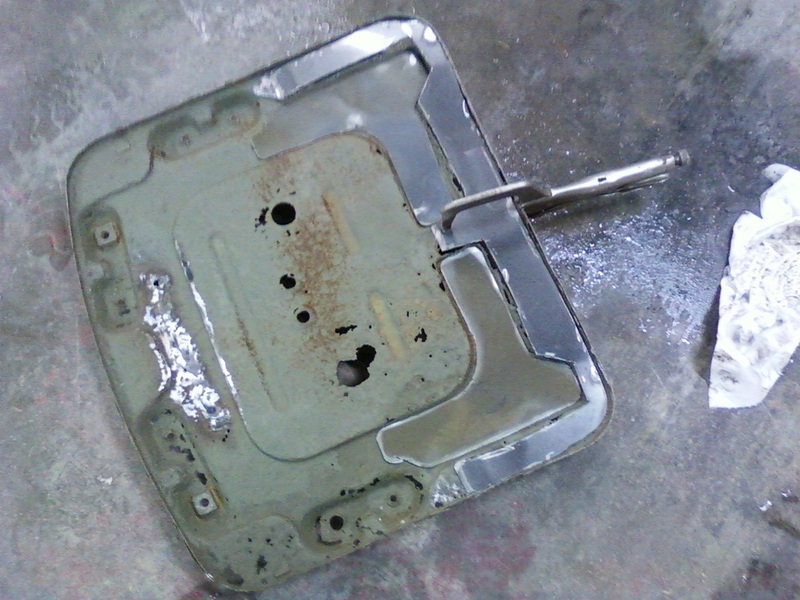 Any part that could be repaired or reused was. 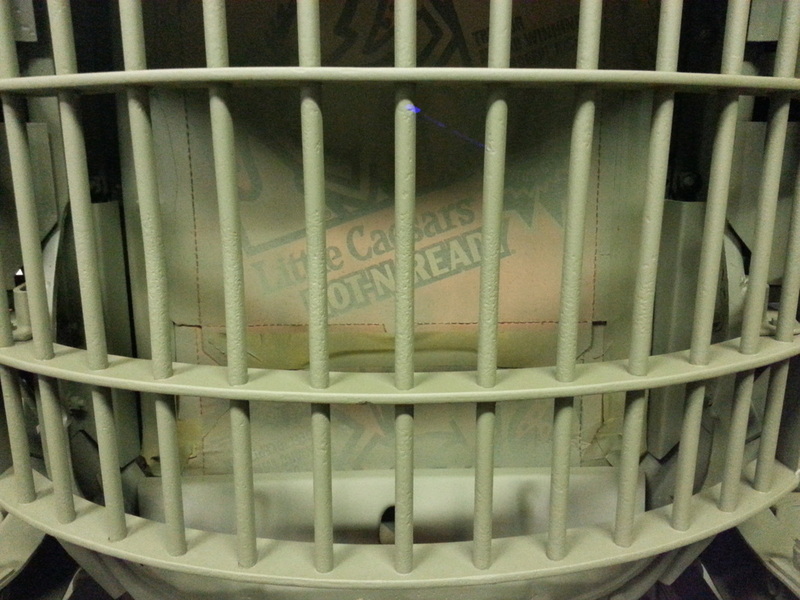 Take note of the new metal cut into the same shape as the original stamping. 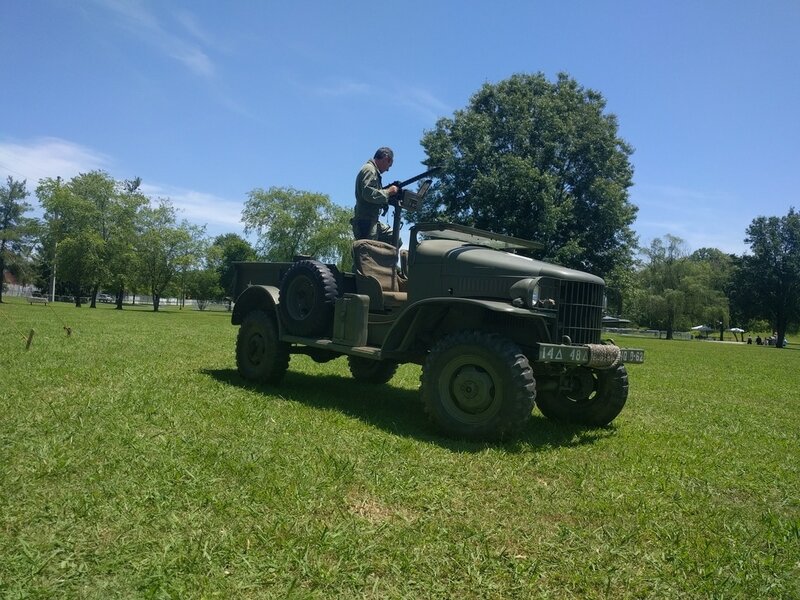 Here is the Dodge at an event towing a 37mm gun. New shoes! Well, new to the WC anyway. 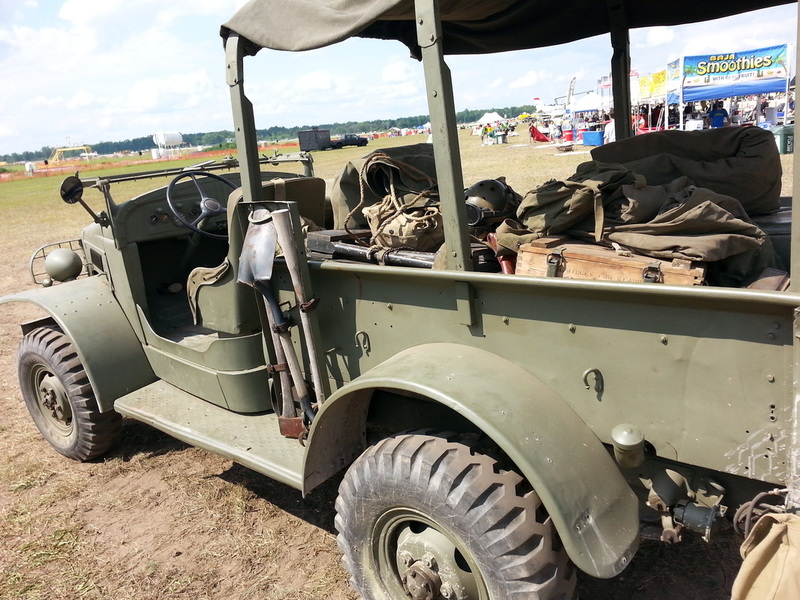 While there were some directional tires used in WWII, NDT (non directional tread) tires were on just about everything. Good to have a set on the Dodge! The WC-21 loaded down at an airshow in 2013. Told you it was loaded down! 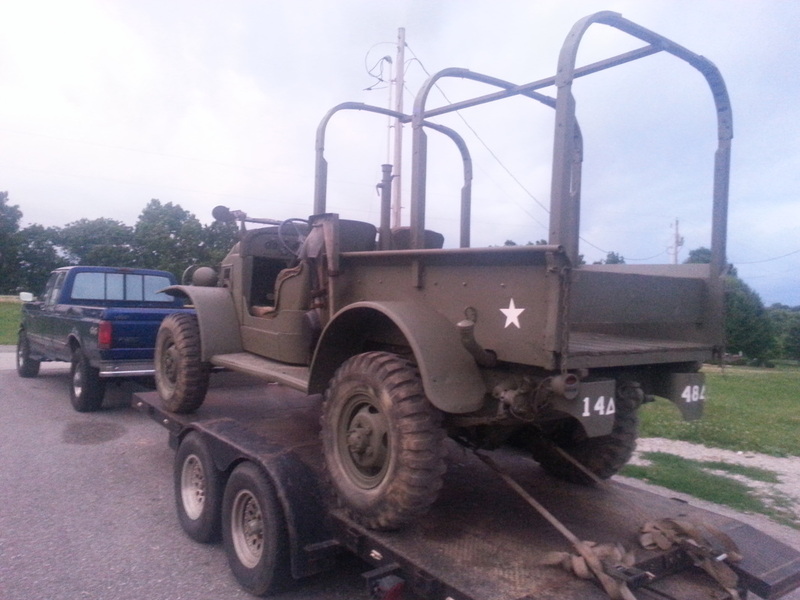 The Dodge got some needed maintenance and the top was completed. The battery died at our latest tactical battle. It went from starting fine to nothing. 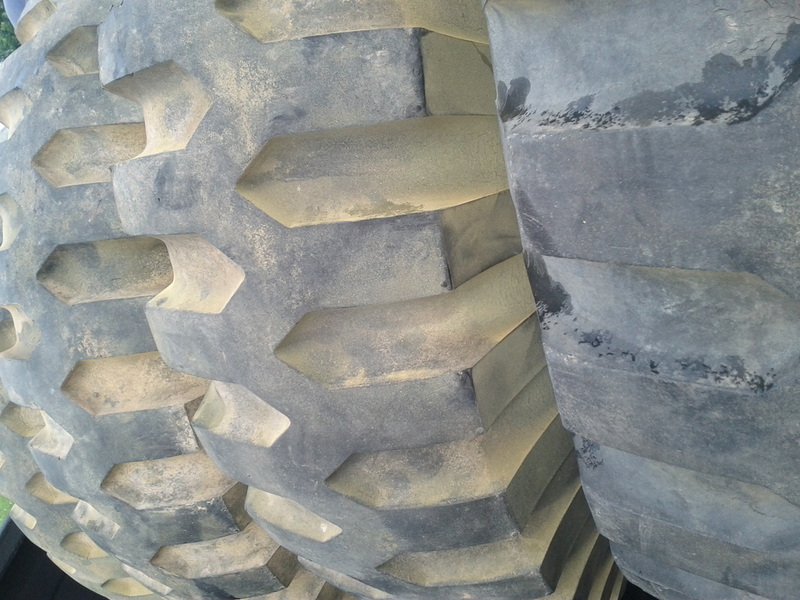 We think that some very rough off road driving broke plates loose or some such failure. 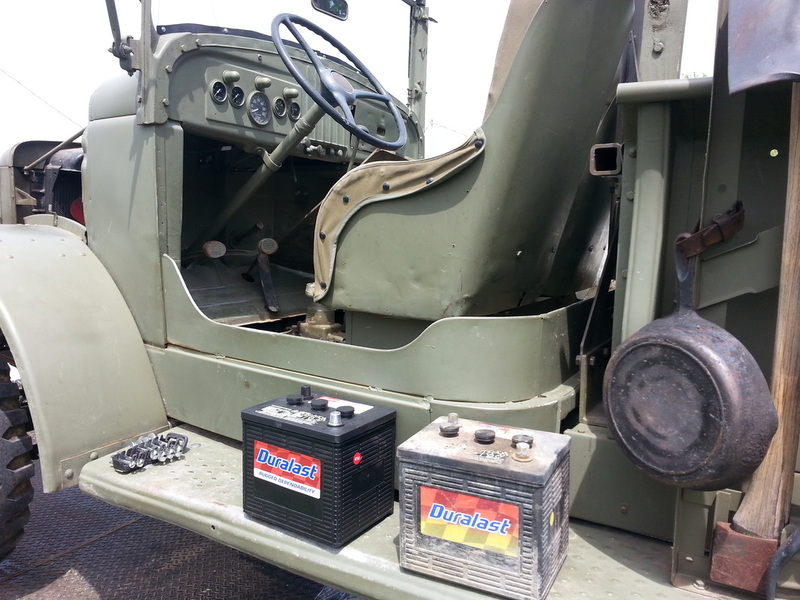 A new 6V battery was purchased and the dodge is back in action! The battery hangs just below the driver's feet. In this series of pictures the truck is still on a trailer. 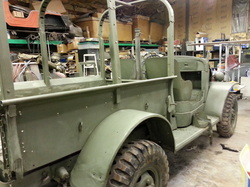 The dodge is ready for a fresh coat of paint... We washed it with a red (abrasive) scuffy pad all over. Anything that got in the way of spraying was removed. A few parts were taped off to protect them. The entire truck was finally wiped down with wax and grease remover. Take a look at the process. 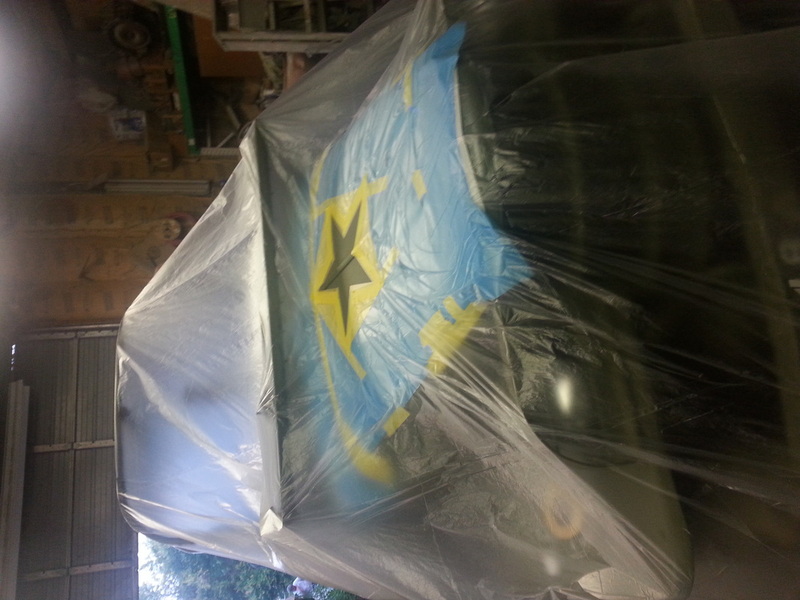 Here is the Dodge after paint! 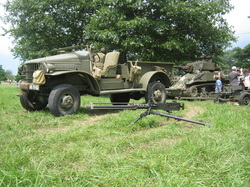 Here the Dodge is on display at an event. Note the new tailgate finally installed! 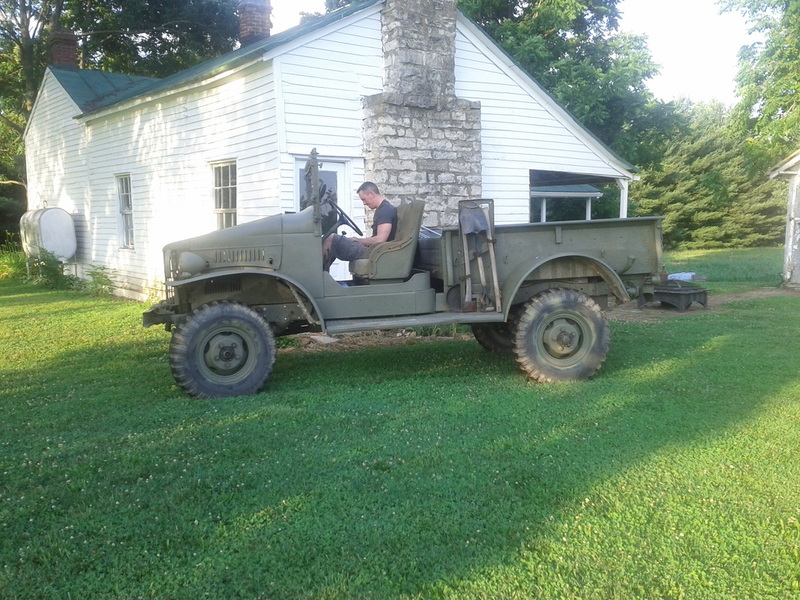 It was sourced from Vintage Power Wagons. This was the only place we could find that had the correct tailgate. The only reason they have it is because they build it! Looks like a good piece. It is missing the tie-downs, so we'll have to find some of those. The tailgate had a coat of primer and some green spray paint the day before this event. Cutting it close... 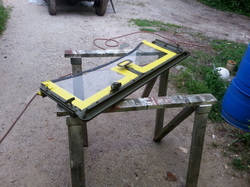 It will get the correct green sprayed on it before too long. 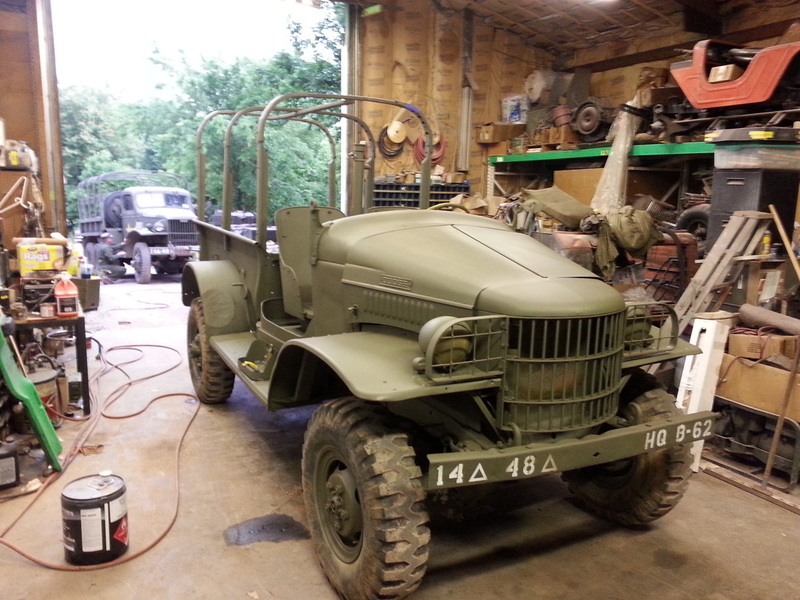 Take a look at the dodge WC21 with and without the canvas top on it. Really gives the truck a different look. 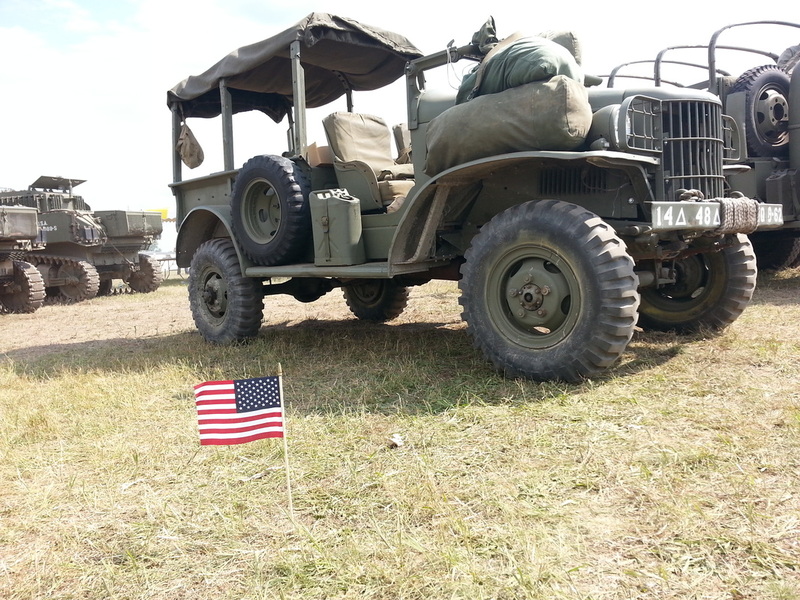 The dodge pulling guard duty. 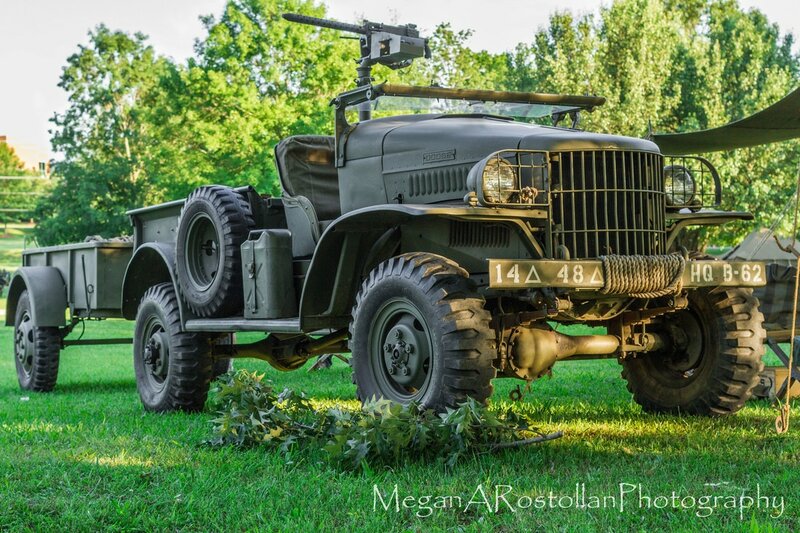 Nice Dodge pic provided by Megan!